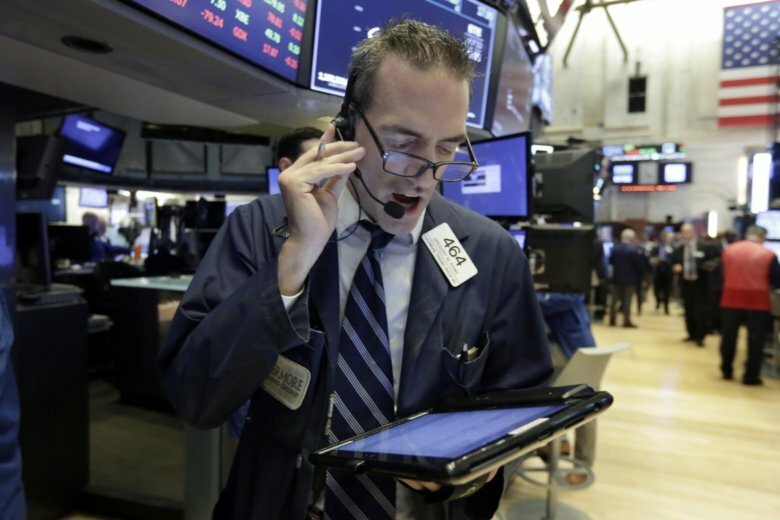 SINGAPORE (AP) — Asian shares fell on Wednesday as China delayed issuing licenses to American businesses hoping to operate in the country, as the threat of more trade tariffs from Washington loomed. The approach of Hurricane Florence on the East Coast and upcoming sanctions on Iran’s energy industry lifted oil prices. Benchmark U.S crude surged past $70 a barrel. KEEPING SCORE: Japan’s benchmark Nikkei 225 lost 0.4 percent to 22,571.76, and the Kospi in South Korea fell 0.2 percent to 2,279.70. Hong Kong’s Hang Seng index was 0.2 percent lower at 26,372.02. The Shanghai Composite index fell 0.3 percent to 2,656.26. Australia’s S&P/ASX 200 shed 0.1 percent to 6,173.30. CHINA-US TENSIONS: China is putting off accepting license applications from American companies in financial services and other industries until Washington makes progress toward a settlement, an official of a business group said Tuesday. The disclosure is the first public confirmation of U.S. companies’ fears that their operations in China or access to its markets might be disrupted by the battle over Beijing’s technology policy. The license delay applies to industries Beijing has promised to open to foreign competitors, according to Jacob Parker, vice president for China operations of the U.S.-China Business Council. The group represents some 200 American companies that do business with China. China is running out of American imports for penalties in response to President Donald Trump’s tariff hikes, which has prompted worries that Chinese regulators might target operations of U.S. companies. The U.S. is poised to slap tariffs on $200 billion in Chinese goods and Trump has said he is considering tariffs on $267 billion more, or essentially every good that’s imported from China. ANALYST’S TAKE: “China’s ability to respond is limited in tariffs, the government is using what they call ‘qualitative measures,'” said Robert Carnell, head of research and chief economist at ING Bank. “You can’t put a number on that, but it’s not an idle threat. They could really make it hard for U.S. companies to operate in China,” he said. ENERGY: Oil prices extended their gains on Wednesday. The approach of Hurricane Florence and its potential to disrupt oil supply on the East Coast spurred gains. The U.S. is also getting ready to put sanctions on Iran’s energy industry, and it has been pressuring other countries to reduce their imports. Benchmark U.S. crude added 85 cents to $70.10 a barrel. The contract gained 2.5 percent to $69.25 per barrel in New York. Brent crude, used to price international oils, gained 57 cents to $79.63 a barrel. It jumped 2.2 percent to $79.06 a barrel in London on Tuesday.